Yes, He’s Still Married: Rev. 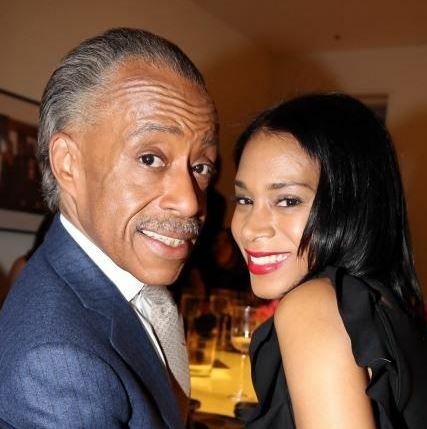 Al Sharpton’s 58, His New Girlfriend is 35 – Any Questions? Al Sharpton is a pastor, but he is also a man. The problem is that he is also a married man. But in his defense, he has been separated from his wife for several years, so maybe this is OK. It’s not as if other people in the church aren’t also doing their dirt too. Sharpton is 58 years old, and a source says that he has never filed for divorce from his wife Kathy Lee Jordan. But the two did announce their split back in 2004. The two had been married for 24 years before calling it quits. Now, Sharpton is dating a much younger woman, Aisha McShaw, who told the New York Daily News that she is Sharpton’s girlfriend. McShaw was Sharpton’s date to the president’s birthday party and the White House Correspondent’s dinner in April. Rachel Noerdlinger, Sharpton’s right hand person, explained how he told her about it all. Sharpton’s wife had nothing to say about this. So, the good pastor is still married and dating a woman that is young enough to be his daughter. Is there anything wrong with that, or do people have the right to just do whatever they want? What standards should a pastor be held to?